The glasses of wine clustered on the bar radiate a rich, ruby glow as if illuminated by sunshine. Conversation punctuated by laughter drifts across the room. A cheese board accompanied by a glistening appetizer of wafer-thin carpaccio and crispy rocket salad is set down to a collective chorus of appreciation. More people arrive, breezing through the front doors to join one of the tables set along the edge of the saloon. 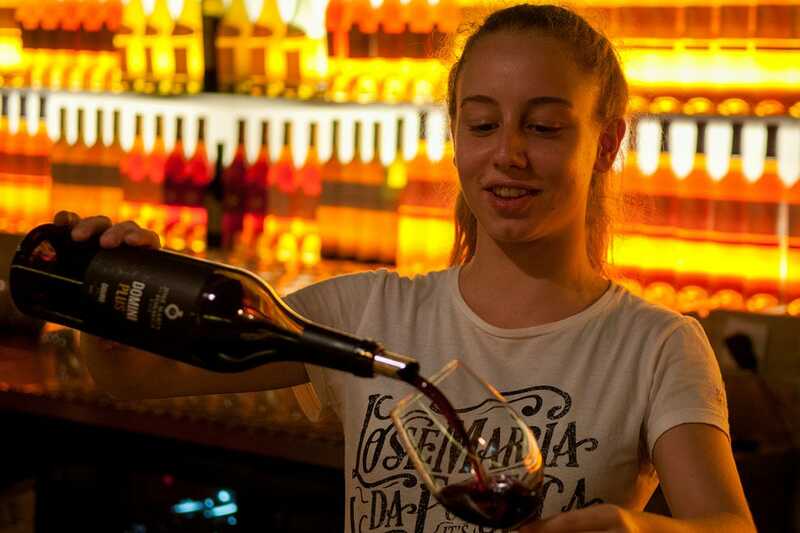 It’s mid-evening, and nightlife is bubbling over nicely at By the Wine, a convivial wine bar located on a steep narrow street halfway between Lisbon’s Chiado and Cais do Sodré districts in the heart of the Portuguese capital. Distinguished by an amazing half-barrel ceiling decorated with exactly 3,267 empty green bottles, By the Wine is designed to resemble a traditional wine cellar, and with good reason. It's owned and operated by José Maria da Fonseca, one of Portugal’s most respected wine producers. Family-owned, the company has been trading since 1834, and By the Wine works as a huge shop window for the 80 or so different wines in the da Fonseca portfolio. It’s also a favorite city nightspot. 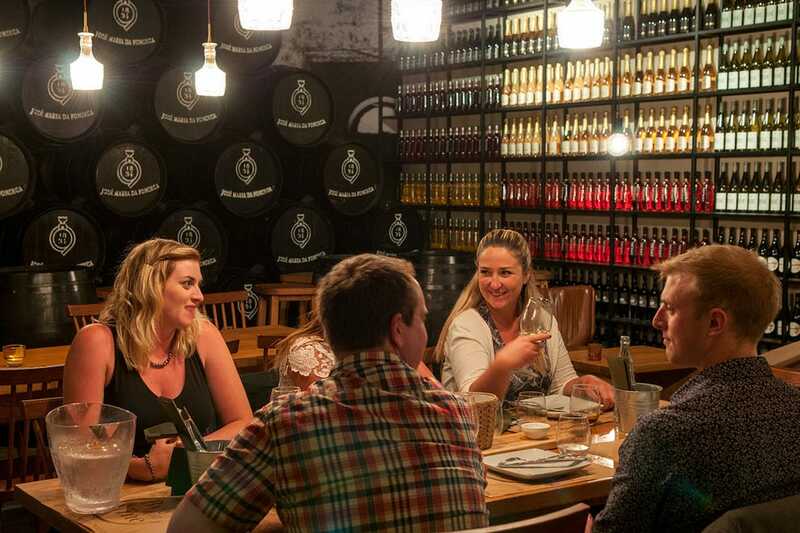 A hit with residents attracted to local color and flavor, By the Wine is an equally conducive port of call with foreign visitors. The inn extends to a second bar at the rear, where a display of branded French oak barrels complements a vintage wine press. A wall-to-ceiling wine rack replete with some of José Maria da Fonseca’s renowned labels provides a tantalizing backdrop. 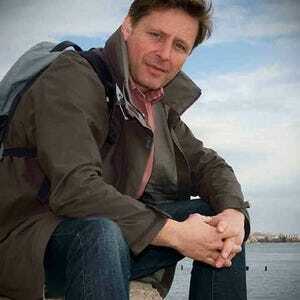 During the day, By the Wine makes for delightful repose, where one can relax over a glass or two between sightseeing. In summer (July to September), though, the bar restricts its opening hours from 6 p.m. to midnight. Good thinking. 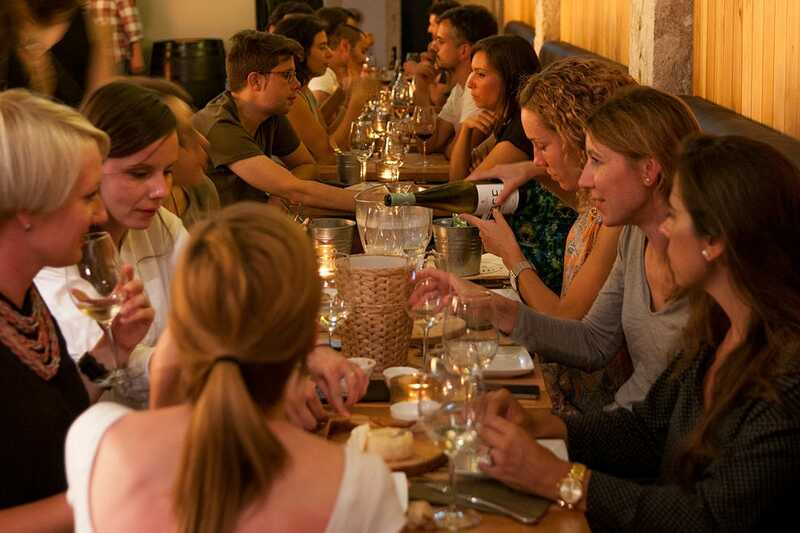 Warm evenings can quickly work up a thirst, and with around 50 different wines listed – reds and whites, sparkling and rose, plus fortified wines and a selection of brandies – the parched traveller is easily pleased. According to Ricardo, the most popular wines are the Periquita Reserva – a bold, fruity red – and Quinta de Camarate, a fresh, citrusy white. 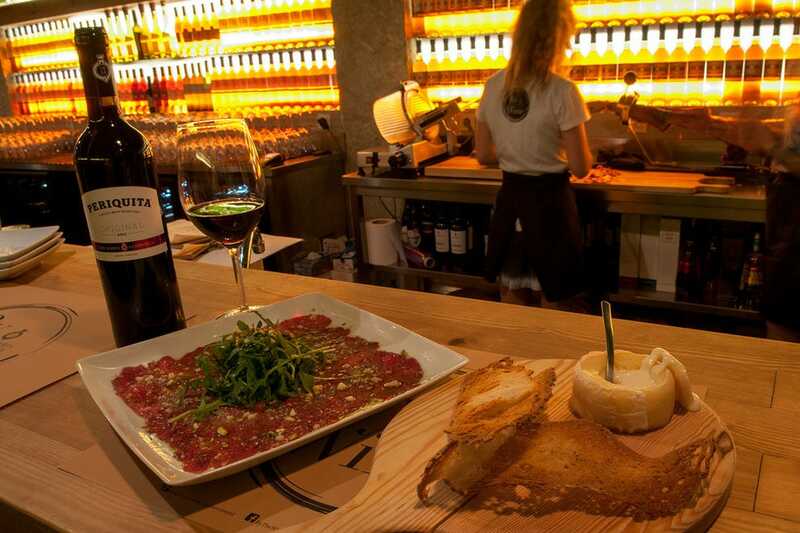 A menu of traditional Portuguese delicacies is carefully paired with the wines: the prego do lombo (loin beefsteak wrapped in bread backed in the Algarve) perfectly matches a glass of red. Alternatively, if you’re drinking white, make it a special occasion by ordering the oysters, a deliciously decadent signature dish. Nightlife at By the Wine revolves around good food and fine wine, but the experience is based upon the success of José Maria da Fonseca. Headquartered in Azeitão, a picturesque town situated 35 kilometers south of the Portuguese capital, JMF is the oldest producer of table wine in the country. It’s also celebrated for its moscatel, a sweet aromatic dessert wine. The JMF vineyards are sited near its manor house, a combined museum and historic cellar set in manicured gardens and open to the public. Indeed, listed are moscatels ranging from 10 to 40 years. A real treat is the 20-year-old muscatel roxo – a connoisseur’s dream tipple! Back at the table, the group is now seven strong. One of their number is emptying a dry white BSE (Branco Seco Especial) into a round of empty glasses. The cheese board has been replenished, and there’s talk of salmon steak. Or shall we go for the mussels in brine? 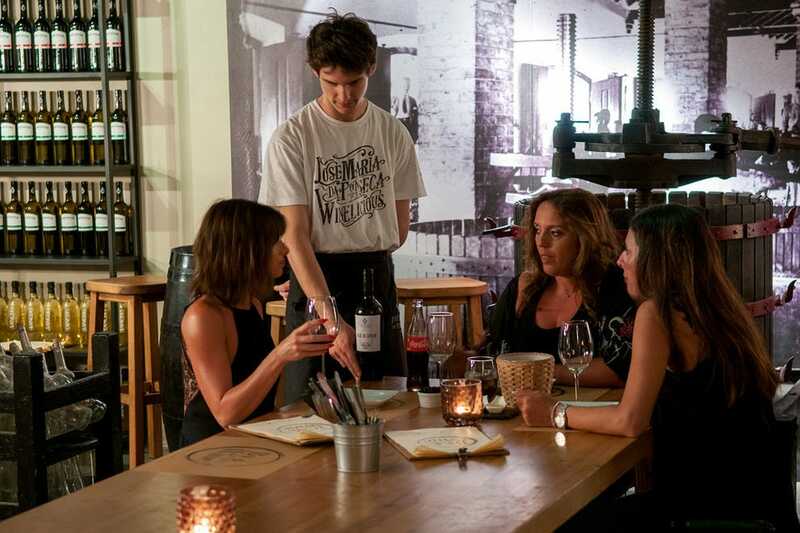 Meanwhile, By the Wine revellers can follow their nose by purchasing special vouchers at the bar that allow a tour of José Maria da Fonseca’s manor house museum and cellars, followed by a wine-tasting session, which includes those same elegantly scented moscatels. 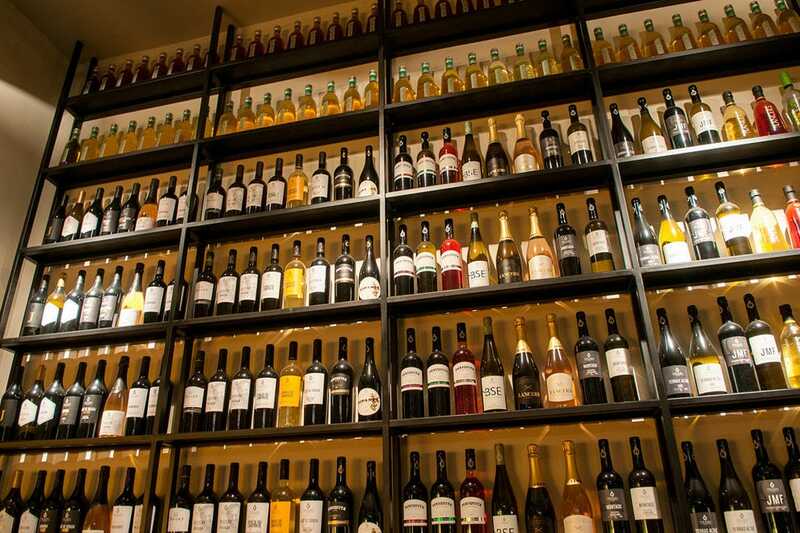 A new bar in Lisbon is dispensing some of Portugal's best wines. 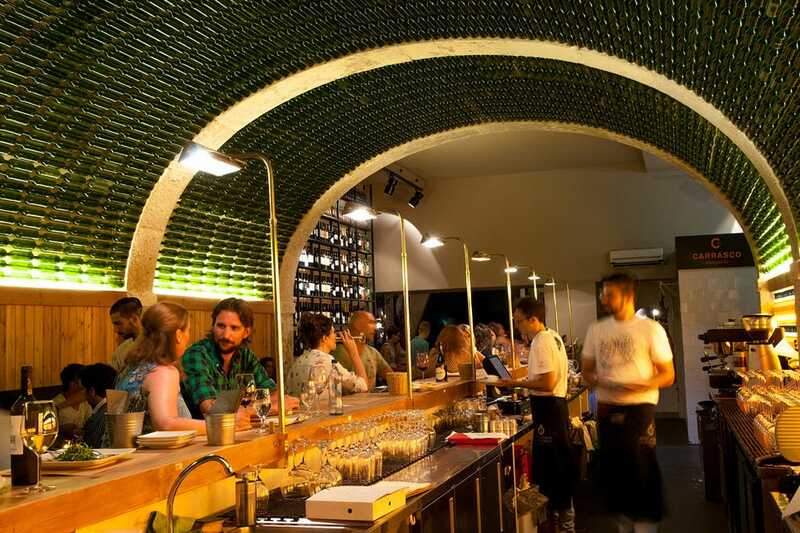 Sipping muscatel under a ceiling created from 3,000 wine bottles is Paul Bernhardt’s idea of great Lisbon nightlife.